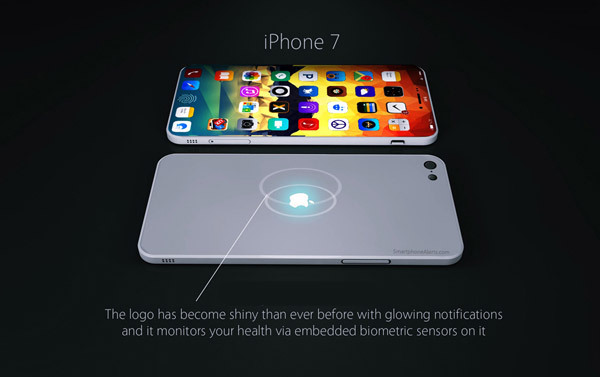 The designer showed a concept of "the most exciting iPhone's history"
Now came the next season rumors of "Apple" products, which means that models and the season. 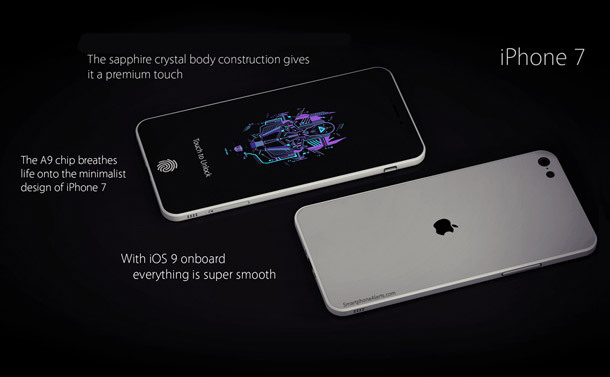 But before you interested in another concept iPhone, worth bearing in mind that he probably has very little to do with the real product - experience shows that usually happens this way. The original view of the Apple smart phones offered the author resource Smartphonealerts. 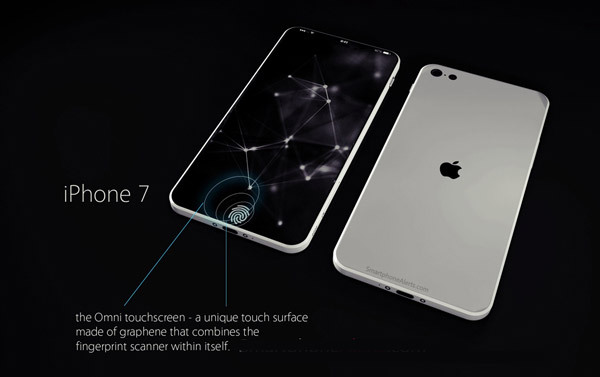 His «iPhone 7" display is characterized by "edge to edge" and a fingerprint reader, integrated directly into the device's screen. As far as practical, the designer prefers not to extend. 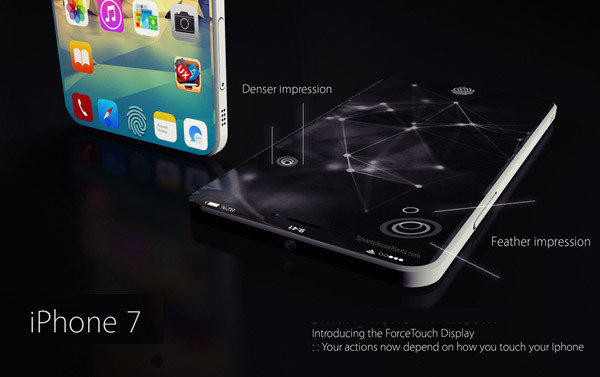 IPhone 7 display supports Force Touch, and therefore can recognize the strength of pressing. Display resolution, which occupies the entire front side is 3840 × 2160 pixels, diagonal - 4.7 inches. 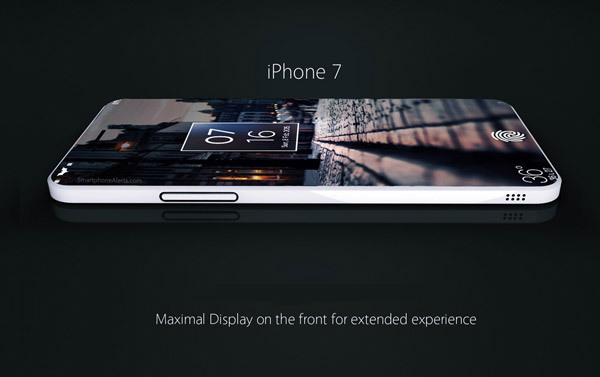 The thickness of the smartphone does not exceed 6.2 mm. Company logo on the rear panel is lit, signaling the incoming notifications. 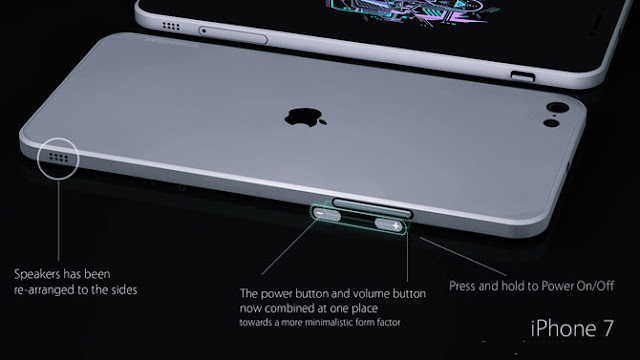 On the technical characteristics of the new smartphone generation author says the following: the camera with a resolution of 12 megapixels and 2 GB of RAM, the battery capacity of 2100 mAh, connector USB-C. Notably, the designer has combined the power button and volume control - to turn off the iPhone 7 just press and hold any of the keys to adjust the sound. 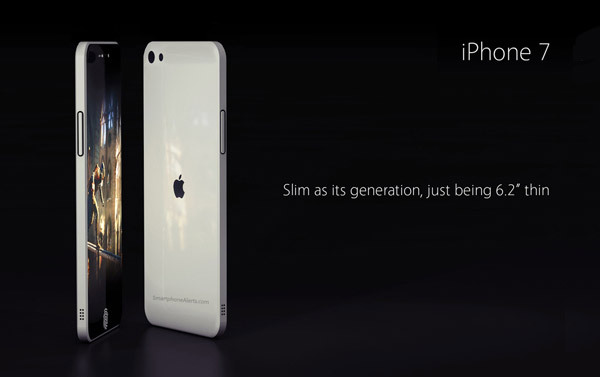 His version of the iPhone 7 designer calls "the most delightful in the history of iPhone».